Looking for a new Nissan Sentra for sale near East Hartford? 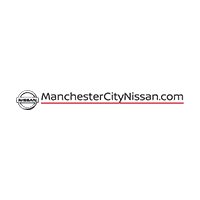 With over 152 models to choose from here at Manchester City Nissan, we’ve got you covered. Select from options like the Nissan Sentra S with a 7-inch touchscreen display and Bluetooth streaming audio to the Nissan Sentra SR with heated front seats, intelligent cruise control, and a rear spoiler with integrated LED brake light. With such a wide selection, you’re sure to find a Sentra that has all of the features you need to turn that Vernon commute into a joy ride. Proudly serving the South Windsor area, the team here at Manchester City Nissan strives to provide an unparalleled car buying experience. We start by offering a large selection of new Nissan vehicles to ensure we have the right car for every budget and preference. We also make sure you’re taken care of with a range of flexible financing options and you can even get pre-approved before your visit. We’ll continue to earn your business long after the sale with our professional and well-trained parts and service departments. Once you’ve browsed our inventory, it’s time to get behind the wheel for a test drive. Contact us today to schedule your visit to our showroom in Manchester.